With so many fairness creams available in the market from various well-known cosmetic brands, making our skin a few shades lighter has become an easy affair. But picking the right product that suits your skin type is essential for enjoying the perfect results. If you have a dry skin, you may find it difficult to find the best product for yourself. Well, we have got you covered. Let us talk about the best fairness creams for dry skin in this article. 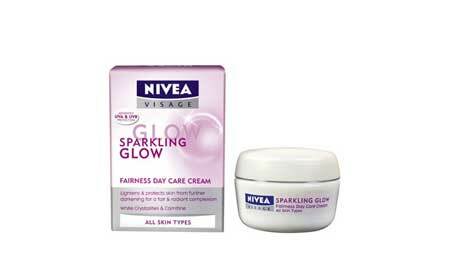 This fairness cream helps lighten the skin tone while moisturizing and smoothening it perfectly. The unique ‘Triple Nutrient System’ of the product gives your skin a tri-vitamin boost (B3, Pro-B5, and E), which reduces the appearance of dark spots, pigmentation, and dullness. It is also powered with SPF 24/PA++ to provide complete sun protection to our skin by preventing tanning and sun damages. On the other hand, the product is excellent for dry skin as it is rich in Vitamin E and glycerin that replenishes the natural moisture and makes the skin supple. Hence, you get a soft, glowing and brighter-looking skin over time. 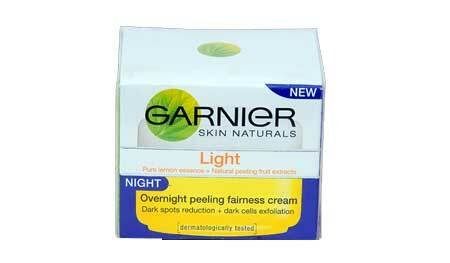 This fairness cream lightens the skin tone and protects it from further darkening while keeping dryness at bay. It comes with the special White Crystalline technology as well as carnitine that work together to reduce melanin production in your skin, thereby giving you a fair and radiant complexion. The advanced UVA & UVB protection formula can also provide your skin the required sun protection. 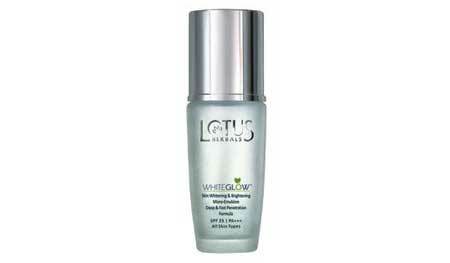 The product is enriched with skin-hydrating essentials, which make the skin well-moisturized and brighter. The new advanced fairness and nourishment formula of this cream makes it a daily fairness expert that hydrates the skin leaving it soft and fair. 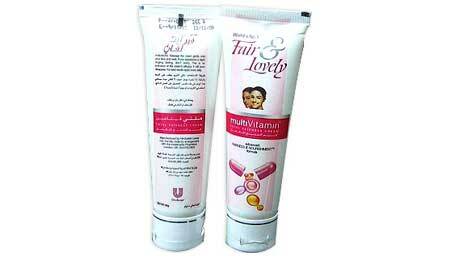 It contains multivitamins (B3, C, E, B6), which give your skin a significant health boost so that it looks its best always. The product also comes with SPF 15, which helps it offer unbeatable fairness up to 5 hours in the sun (protection from both UVA and UVB rays). However, the biggest advantage of this cream is the absence of alcohol in it. Price: Rs. 106 for 50 gm. This dermatologically-tested cream promises a well-moisturized, fair, and radiant skin. Being rich in pure lemon extracts, it contains lots of Vitamin C that make the skin brighter and healthier by removing dark spots, patches, pigmentation, etc. Conversely, the micro peeling fruit extracts offer overnight intensive exfoliating action by peeling off dead cells and exposing the white layer underneath. The product moisturizes the skin wonderfully, promotes the production of collagen, rejuvenates the skin, and enhances its glow to a large extent. Price: Rs. 99 for 18 gm. Enriched with Advanced Melanin-Block, this cream acts as a powerful skin whitening product that visibly reduces dark spots while keeps the skin moisturized and protected from UV rays. It contains micro white pearls that stimulate microcirculation in the skin and turns it radiant by adding a beautiful rosy glow to it. The powerful UV filter system present in it comes with SPF 15 that offers great sun protection. 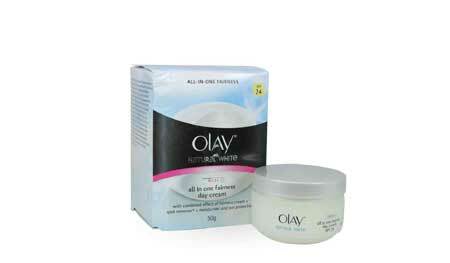 The cream also hydrates the skin and helps it retain its natural moisture throughout the day. Price: Rs. 650 for 50 ml. This advanced herbal cream has a deep and fast penetrating micro-emulsion formula that combines the nourishment of oil and the hydration of water to blend well with the skin and provide visible results in just 7 days. It consists of milk enzymes as well as extracts from mulberry, Saxifraga, and grape that act as fairness agents and provide the skin with hydrating benefits. You can get rid of dead cells, blackheads, and large pores while getting a youthful skin with a natural glow. The product also has SPF 25 to protect the skin from harmful UVA and UVB rays. Price: Rs. 245 for 40 ml. This cream features a unique fairness technology that gives a soft, smooth, and noticeably fairer skin with an absolute matte finish while leaving it completely moisturized. It has Advanced Vitamin Agent (AVA) that improves the cell renewal process and brightens the skin tone significantly while the dual sunscreen composition prevents pigmentation and darkening by protecting from the harsh rays of the sun. Price: Rs. 145 for 75 gm. This rich cream comes with an intense skin whitening formula, which penetrates deep into the skin and regulates the production of melanin, thereby eliminating dark spots, blemishes, suntans, etc. It is also infused with skin lightening as well as moisturizing vitamins including vitamin B3, which makes the skin soft, smooth, and fair while giving it a luminous look instantly. Price: Rs. 99 for 15 gm. 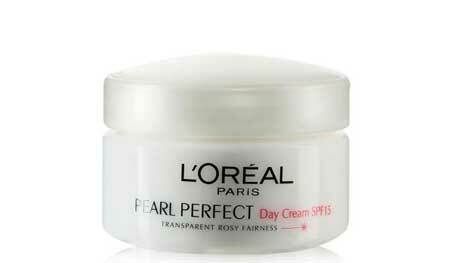 This soft and lightweight cream can give you notably lighter and brighter skin in just 7 days. It is a formula researched and developed by dermatologists, which contains the whitening active called ‘azeloyl glycine’ for a fairer complexion and antioxidant vitamin C for fighting free radicals as well as improving texture. The imperta cylindrica extract in it helps restore the skin’s moisture level. The product also includes a UV protection system (SPF 15) to protect skin from harmful effects of UV rays. Price: Rs. 950 for 50 ml. The new, improved version of this herbal fairness cream comes with a clinically tested formulation that enhances the texture of your skin, gives it an even tone, and makes it whiter over time. It contains rare plant extracts and oils for minimizing blemishes and nourishing the dry skin, thereby giving a soft, smooth, fair, and radiant appearance. Price: Rs. 700 for 40 gm. Hydroquinone, mercury, lead, alcohol, etc. are some of the toxic ingredients found in fairness creams, which not only make the dry skin even drier but also damage the skin extensively in the long run. Hence, make sure that you go through the list of ingredients thoroughly while purchasing any fairness product.